Current MCB proposed changes for kief, plant counts, and testing establishment reporting requirements. The Marijuana Control Board is proposing to change and adopt regulations dealing with Plant counts, Kief and Kief testing, required reporting by Testing facilities, and definitions of “Marijuana plant maturity”. Here you will find the proposed regulations, as well as an easy to understand break down to help you create effective public comment and be an active participant in the Alaska Recreational Marijuana Industry. 1: 306.405 adds a new subsection defining plant counts in cultivation facilities. 2: 306.435 adds Kief to the list of acceptable marijuana products to be included in harvest packages. 3: 306.455 adds leaf, trim, and chief to harvest samples for required testing. 4: 306.470 adds a new subsection that requiring leaf, trim, kief and any other non flower part of the plant to be tested independently from flower. 6: 306.645 potency testing requirements added. 7: 306.670 changes reporting requirements for testing facilities. 8: amends definition of marijuana plant maturity. add subsection :(8) begin initial operations at the time of preliminary inspection with up to 12 mature, non-flowering plants, designated and used as mother plants; any number of immature plants; and any number of seeds. This regulation would set the number of “mother”, fully mature plants that may be in the facility at the time off first inspection to 12(twelve). They must be designated, and used as mother plants. it would allow an unlimited amount of immature plants, and an unlimited amount of seeds would be allowed on first inspection. (2) comply with each provision of this chapter that applies to any other type of marijuana establishment license that the standard marijuana cultivation facility licensee obtains. (5) sell marijuana that is not packaged and labeled in compliance with 3 AAC 306.470 and 3 AAC 306.475. No marijuana or marijuana product to INCLUDE SEEDS or PLANTS may be introduced into a cultivation facility unless it has been obtained from another licensed facility, after the initial inspection has been performed. This addition of the words plants or seeds is against AS 17.38 (b)(6)which already states that a cultivation facility MAY take immature plants or seeds from anyone over 21 years of age. This will be in my comment to the board. (a) A marijuana cultivation facility shall use a marijuana inventory tracking system in compliance with 3 AAC 306.730 to ensure all marijuana propagated, grown, or cultivated on the marijuana cultivation facility’s premises is identified and tracked from the time the marijuana is propagated through transfer to another licensed marijuana establishment or destruction. The marijuana cultivation facility shall assign a tracking number to each plant over eight inches tall. 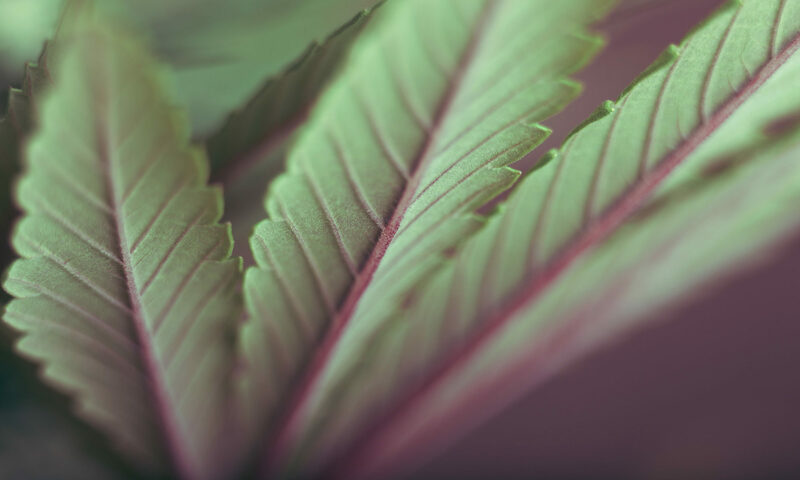 When harvested, bud and flowers, clones or cuttings, or leaves and trim may be combined in harvest batches of distinct strains, not exceeding five pounds. Each harvest batch must be given an inventory tracking number. Clones or cuttings must be limited to 50 or fewer plants and identified by a batch tracking number. (a) A marijuana cultivation facility shall use a marijuana inventory tracking system in compliance with 3 AAC 306.730 to ensure all marijuana propagated, grown, or cultivated on the marijuana cultivation facility’s premises is identified and tracked from the time the marijuana is propagated through transfer to another licensed marijuana establishment or destruction. The marijuana cultivation facility shall assign a tracking number to each plant over eight inches tall. When harvested, bud and flowers, kief, clones or cuttings, or leaves and trim may be combined in harvest batches of distinct strains, not exceeding five pounds. Each harvest batch must be given an inventory tracking number. Clones or cuttings must be limited to 50 or fewer plants and identified by a batch tracking number. This just allows for kief to now be added to the inventory for tracking and sale. I support it. (b) To comply with (a) of this section, a marijuana cultivation facility shall(1) collect a random, homogenous sample for testing by segregating harvested marijuana into batches of individual strains of bud, flower, leaf, trim, and kief, then selecting a random sample from each batch in an amount required by the marijuana testing facility. this addition of the words leaf, trim, and kief, allows for random testing to include these items. This will ensure that the vastly different THC and cannabinoid counts are reflected in the packaging. Leaf and trim have much lower THC counts as compared to bud/flower, and Kief has higher counts then bud/flower. the consumer should be aware of the differences. The costs will be on the cultivator for testing, but it should present more information for the consumer, because of this I support it. means that any part of the marijuana plant that is not bud/flower, must be tested separately from the bud/flower to ensure accurate potency numbers for consumers. This revokes the ability for a product manufacturing facility to create Kief, which would only allow it to be collected at a cultivation facility. I Don’t think this it is necessary to take the ability from a production facility as long as they continue to follow the same testing parameters. (D) Marijuana leaf, trim, kief, and other parts of the marijuana plant must be tested for potency separately from marijuana flower. This is just another spot in the regulation that state that leaf, trim, and kief must be tested independently from bud/flower. (d)A marijuana testing facility shall notify the director in writing not later then 24 hours after a significant equipment malfunction or failure that prevents the completion of required marijuana or marijuana product testing. The licensee shall notify the director of any action the licensee intends to take to provide for re-testing or destruction of the marijuana or marijuana product. this requires that a testing facility notify AMCO in the case of an equipment failure that prevents required testing to be completed. The licensee must inform the director on how the retesting will be preformed or the marijuana or product with be destroyed. this fails to list if the “licensee” is the testing facility or the facility that has supplied the sample for testing. It needs to be clarified. (5) “immature” means a marijuana plant 18 inches or less in height, with no visible crystals, buds, or flowers, and in which the exposure to light is scheduled with the intent to prevent formation of crystals, buds, or flowers. This is meant to add a limit to the size of what is considered an immature plant. I don’t believe it is needed as the light cycle is what controls the forming of buds and crystals and can still happen with shorter plants. its an unneeded addition in my opinion. (a)is amended to add an new subsection: (11)”mature’ means a marijuana plant over 18 inches in height. any plant over 18 inches will be considered mature. I don’t believe this is a necessary addition. .555(d)(1) repealing the right to create kief from Product manufacturing facilities. KEEP WATCHING FOR MORE PROPOSED REGULATION PACKETS COMING SOON! Infant plants as they all grow at a different rates should remain plants not not intentionally subjected to 12/12 lighting schedule with the intent to cause flowering. Some strains will start small flowers when 4 inches tall in 18/6 lighting or even 24 hours of grow, outside or inside. Sizing changes are not needed, they only drive up cost’s and limit production. Next PostNext Day one in Nome has MCB Dealing with questions of residency once again.